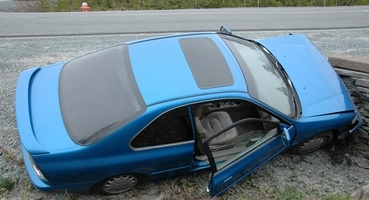 What options for victims in a Florida accident? What options exist for victims in a Florida hit-and-run accident? Can You Sue For A Hit And Run in Florida? After how long can hit and run accidents be reported? How to get out of a hit and run charge? There are lots of options exist for victims in a Florida hit-and-run accident? No matter the circumstances, being involved in a car accident is a stressful experience. Between the potential medical issues, time away from work and the cost of physical vehicle damage, there is a lot for crash victims to be worried about. However, an accident can be even more frustrating if the at-fault driver doesn’t stick around after the incident. Even though Florida law requires motorists to remain at the scene of any accident, some people do not uphold this responsibility. When a person is injured in an accident and the other driver stays at the scene, auto insurance information can be gathered. At this point, coverage can likely be sought under the other driver’s bodily injury liability coverage. However, if the other driver flees the scene and is never identified, filing a claim with their insurer obviously isn’t an option. Accident victims in this unfortunate circumstance may not know what their options are. This is the type of situation in which uninsured motorist is likely to come into play. According to the Florida Department of Highway Safety and Motor Vehicles, uninsured motorist coverage is not included in the state auto insurance requirements. However, many people might forget or simply not know what their insurance policy includes, which is why it may be helpful to seek advice in order to effectively deal with the effects of a hit-and-run accident. Uninsured motorist coverage applies to multiple situations, and this is only one of them. Dealing with insurance companies can be complicated and intimidating. Even though you pay your insurer every month, the company may offer you the smallest settlement possible. However, hit-and-run victims may need to take steps to ensure that they recover an adequate amount of resources. Knowing how complex this sort of situation can be, this blog post shouldn’t be considered specific legal advice. Instead, this is a brief look into an unfortunate, but all too common, problem many people are forced to deal with. If you have been injured in a hit and run car accident, you should contact experienced car accident attorney Corey Leifer today for help.